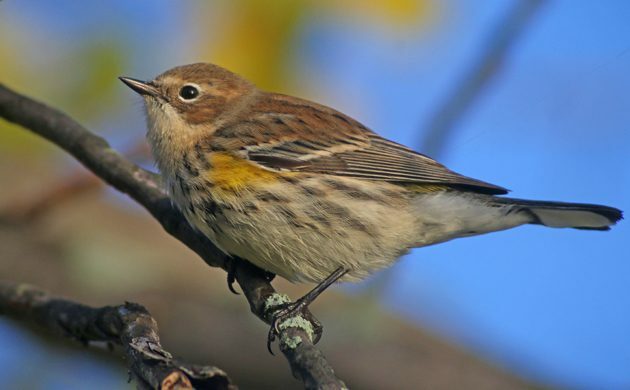 Fall migration in many parts of the world has reached or passed its peak. We as birders know well that there is always more to see, but we still don’t want to miss the most exciting moments. What kind of excitement did you encounter this weekend? I was fortunate to not only run into some tasty year birds like Pectoral Sandpiper but also some local birders I knew only by name. Always nice to know the people whose eBird lists you use for field intelligence! Corey had a great weekend in his hometown visiting his family and making a couple visits to local birding hotspots. His Best Bird of the Weekend was the only wood-warbler species he spotted all weekend, the Butterbutt, better known as the Yellow-rumped Warbler, of which he spotted quite a few, but none that he enjoyed so much as the flock he found along the Hudson River in early morning light, one of which is pictured above. Little Bunting, the third record for Lothian, which I twitched on Saturday morning.